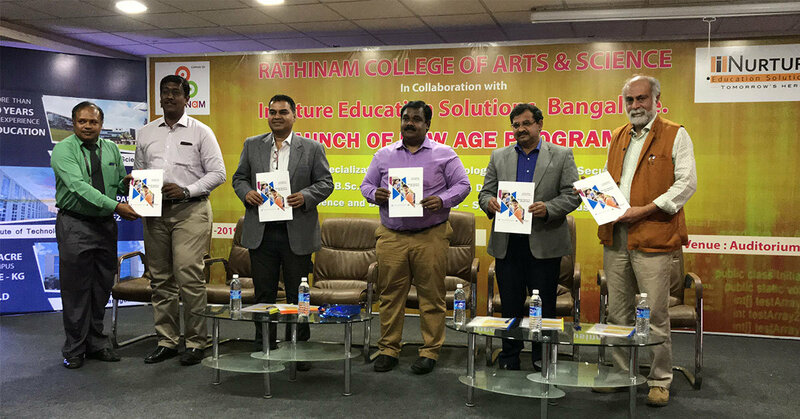 iNurture, in association with Rathinam College of Arts and Science, recently launched industry-oriented programs in new-age domains. The launch was headed by Mr. Manickam Ramasamy, CEO of Rathinam College in the presence of Mr. Sudhanshu Varma, President, Sales & Marketing, iNurture and other esteemed dignitaries. The collaboration was featured in the newspaper, Trinity Mirror.